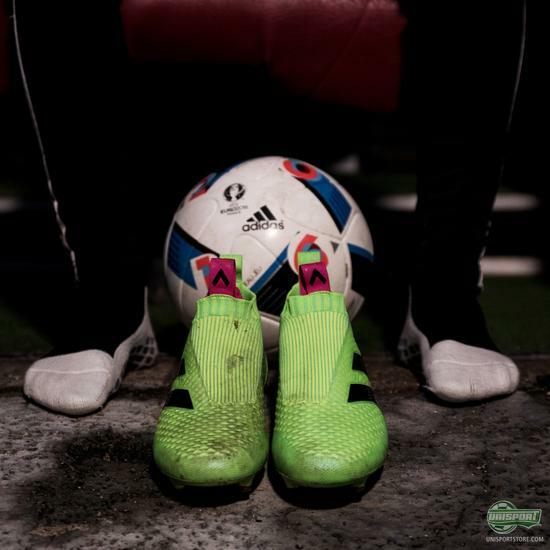 The big adidas Ace 16+ PureControl review - get to know everything! It’s been a very big day for adidas, who have just launched their Ace 16+ PureControl. The boot is made entirely without laces and will be worn by Mesut Özil and Ivan Rakitic in their games to come. We have however actually been wearing them for quite some time now and that means we know everything there is to know about them and are already now ready with a full review. This is one of the biggest innovations and boot launches in years and for a review of this magnitude we needed the ultimate stage, not just some random grass pitch. Boom, we headed to Parken, home of the Danish national team. It’s not all about the epic scenery and jazzy editing though, because I think this might be one of our most extensive reviews ever. Watch along. If you want the new adidas Ace 16+ PureControl, then get it exclusively on Unisport right here. This is the first really good review of the new adidas Ace 16+ PureControl you will see and hopefully after watching this one there will be no need to watch anything else. Watch it and tell us what you think about it and the new boots below.